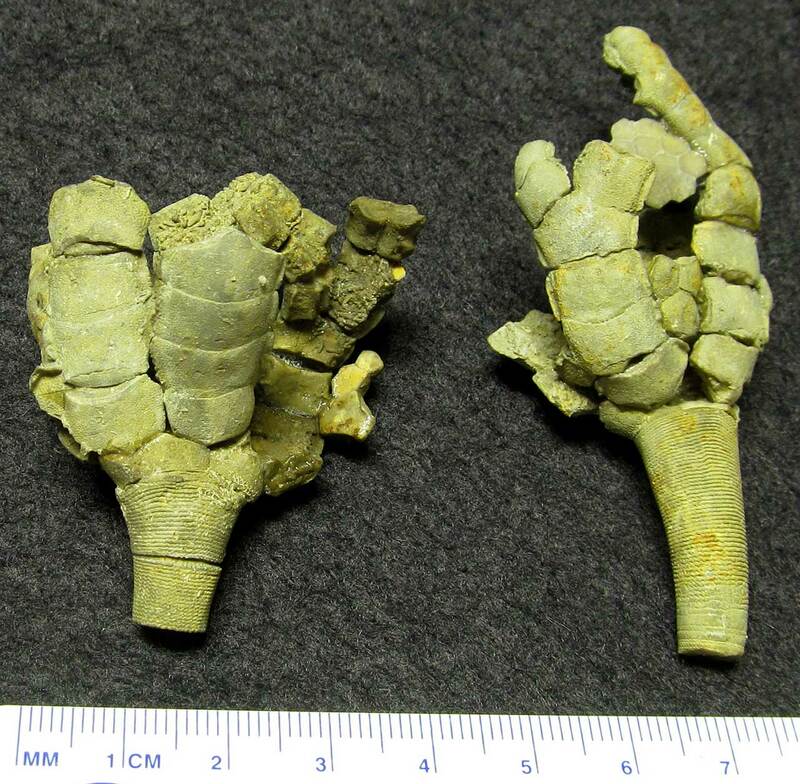 This pictures show reconstructed Onychocrinus sp. 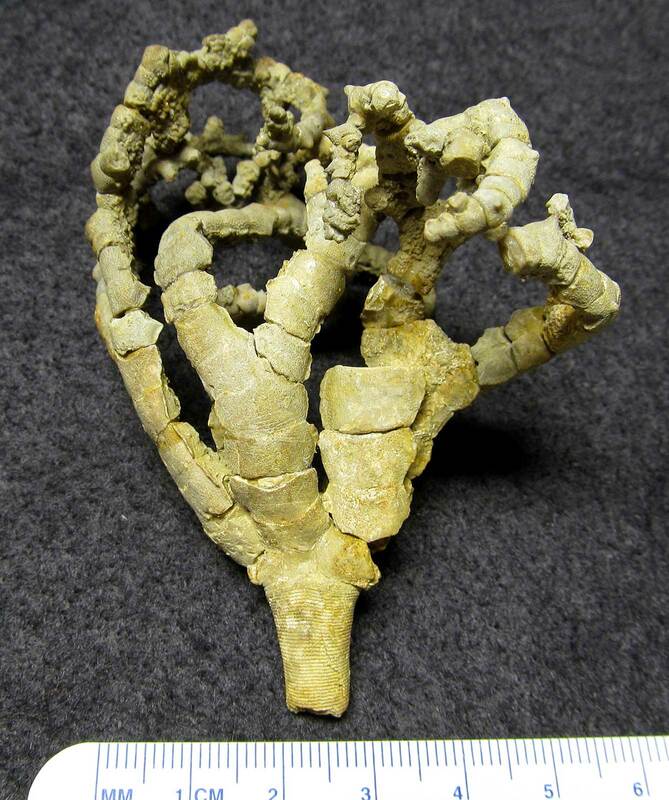 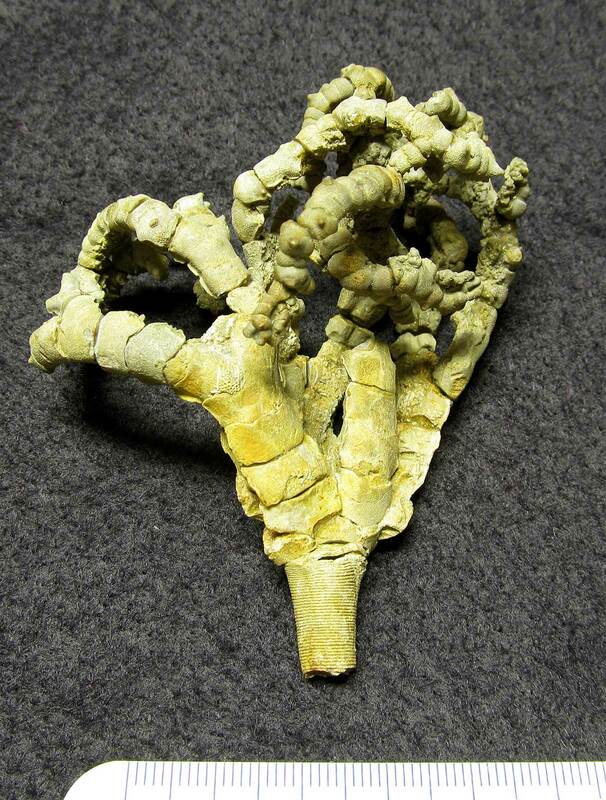 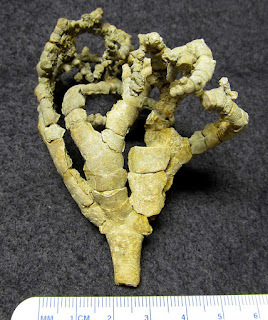 crinoid calyx fossils. 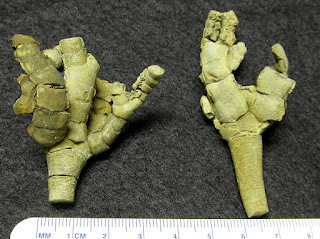 They were found in the Glen Dean Member of Grayson County Kentucky USA. The fossils date to the Mississippian Period. Thanks to Kenny for the images.